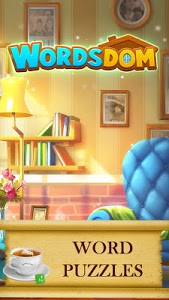 Wordsdom is certain to be your best choice to enjoy endless fun from word puzzles! 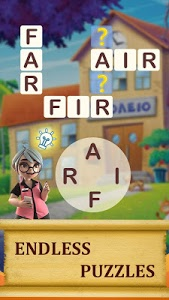 Think, search, swipe and connect all letters into words! Improve your vocabulary and enhance your spelling skills! Make your brain sharp! What are you waiting for? Just click and start to play! 2000+ levels are waiting for you to challenge! It’s easy to learn, but hard to master! Show how smart you are! Play Wordsdom, the addictive word puzzle game, for once and you can’t stop playing it! More importantly, Wordsdom is a free game and you can play it whenever you like, wherever you are. The fun is ready for you anytime! • Easy to learn. 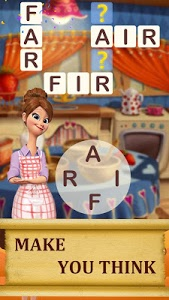 Swipe your finger over letters, search, connect and combine a word. • Flexible to control. Connecting words can be vertical, horizontal, diagonal and even backwards. • Plain and clear. If you've found a valid word it will remain highlighted and marked on the word list as found. • Simple, easy, and addictive puzzle gameplay! • 2000+ levels with infinite word puzzles await you! • Login every day to get a wonderful daily bonus for FREE to unlock higher levels and solve more puzzles! • Enjoyable graphics will bring you and your friends a brilliant puzzle memory of words! • Without time limit, you can use time wisely to find new words and solve puzzles at your own pace! • No Wifi? Don’t worry, play Wordsdom and clear word puzzles anytime, anywhere! 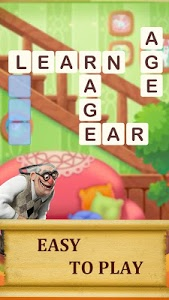 • FREE update to unlock more word puzzles! Thousands of fans of classic word searching, swipe games and crossword puzzles are talking about Wordsdom nowadays, and it’s getting more and more popular. There is one important trick on playing Wordsdom - try not to guess but to use your word intelligence so as to solve difficult puzzles more efficiently. 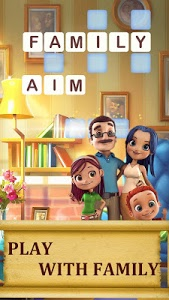 And remember to share the fun with your family and friends, so as to enjoy this addictive Wordsdom together! 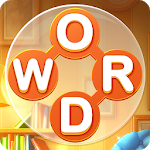 Similar to "Wordsdom – Best Word Puzzle Game"